Cadence PCB layout and routing technology offers a scalable, easy-to-use, constraint-driven PCB design solution for simple to complex PCBs, including those with RF etch components. It also includes innovative new auto-interactive technologies that efficiently and quickly accelerate routing of highly constrained high-speed interfaces. 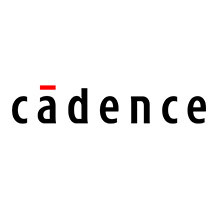 Cadence PCB design tools streamline the process for ECAD/MCAD collaboration using industry-standard EDMD (IDX) schematic and design data handoff to manufacturing through modern, industry-standard IPC-2581. Intrasys Design have unparalleled experience using the Cadence toolset from the very early days of CAD to the very latest versions, we have maintained our software and licenses to service our customers with whatever version or technology they require. Experience the most cohesive, user-friendly interface for you to achieve productivity right “out of the box”. Attain the power you need to complete large, complex designs – quickly and accurately. The latest design tools today with the guarantee of continuous innovation in the future. 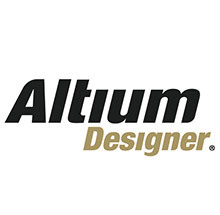 · supporting customers with the popular industry leading Altium DX Designer package for over over 10 years. · covering a wide spectrum of design styles and provided support from schematic drafting to mutilayer / rigid / flexi / flexi-rigid. · have always maintained the latest version on maintenace to allow us to support the varied versions used by our customer base. · a company policy of tailoring our services to suit each customer’s individual requirements. With Xpedition® Enterprise, global engineering teams develop the world’s most complex electronics systems in a multi-discipline enterprise environment that delivers competitive advantage to their organizations and advanced products to the marketplace. Intrasys Design can supply engineers experienced in the latest versions of Mentor Xpedition, as well as legacy versions such as BoardStation®. We can also provide a service to uprev old legacy designs to the latest version. The Valor software is a unique new product introduction solution that seamlessly links PCB layout design, manufacturing processes and operations. By ensuring the design complies with the manufacturers’ capabilities and process, expensive and time-consuming problems experienced during PCB manufacturing can be avoided. Areas where the design can be improved are identified to ensure maximum yield from the manufacturer – “live” during the PCB design and layout process. Leverages the ODB++ intelligent data format to optimize data exchange between design, fabrication, assembly and test.